THE crowds flocked to Lymm and District Round Table’s popular Easter Monday Duck Race, helping it to raise more for charity than ever before. The family event amassed over £7,500 which will go towards worthy causes, largely thanks to the main sponsor – the Co-Operative Food at Cherry Lane – the support of local businesses and the general public. Along with funds raised from the race itself, Lymm Ladies Circle’s Easter Food Fest also added around £1000 to the charity kitty. The winning ducks were numbers 25 (first), 636 (second) and 305 (third), with the super duck winner named as Clinic Equilibrium and corporate duck winner The Sweet Shop. 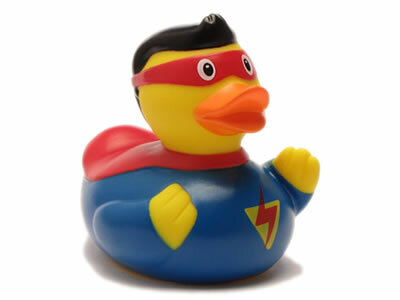 Each business will now nominate a charity of their choice to donate money to (£1000 for the super duck, £250 for the corporate duck). 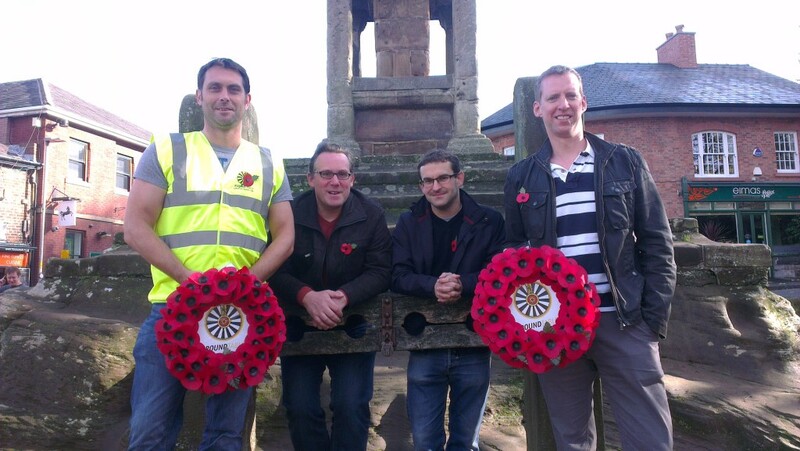 Lymm and District Round Table are seeking charities and community groups to donate to – please email info@lymmroundtable.co.uk with your nominations. CHARITY money has come pouring in following Lymm and District Round Table’s fourth annual beer festival after another great turnout from the ale-loving public. Over £5,000 was raised in total, a record for the event, as hundreds attended the two-day festival sponsored by Warrington-based Urban Building Projects Ltd, specialists in domestic and commercial building. The 37 cask ales, ciders and perries on offer at Lymm Village Hall, along with hearty grub served up by Lymm Ladies Circle – who also raised over £450 for good causes – ensured the public went away well fed and watered. James Williams, who helped to organise the festival, said: “We had more ales and ciders on offer than ever before which proved to be a good move as at the end of Saturday night the stocks were running low, but we still had a few beers available. I’d like to thank everyone who contributed to the event, especially our main sponsors, Urban, our cask sponsors, those who sampled the ales, pulled the pints, entertained the crowd or provided the food. If you would like to nominate a charity or community group that you would like the Round Table to consider donating to, please email info@lymmroundtable.co.uk with more information. 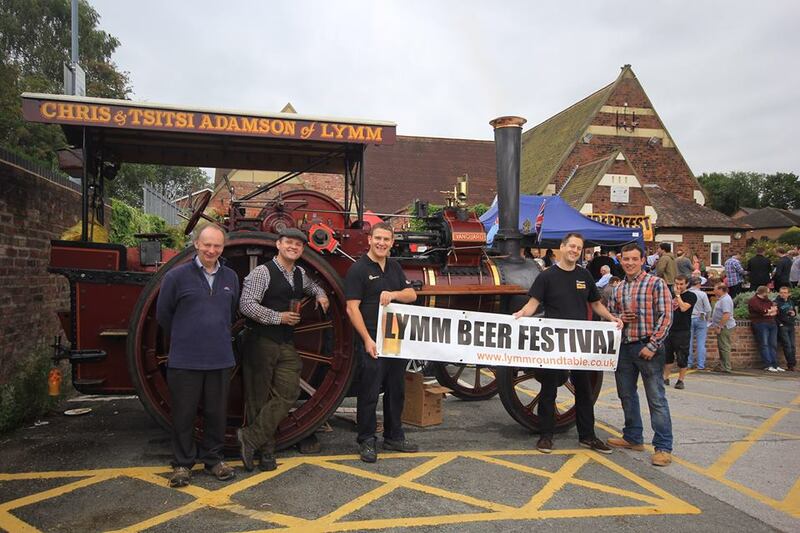 THE Lymm Beer Festival is back for its fourth year and organisers Lymm and District Round Table are promising more ales than ever before. This year’s charity event has been kindly sponsored by Urban Building Projects Ltd of Warrington, specialists in domestic and commercial building, and will take place on Friday 5th (6pm-11pm) and Saturday 6th (noon-11pm) September in Lymm Village Hall. Over 25 cask ales will be on offer plus a selection of ciders, perrys and wine. There will also be live music throughout both days, food and free soft drinks for non-drinkers. The entry fee is £5 (£3 Saturday afternoon and discounts for CAMRA members) which includes a pint glass created specifically for the event. All cask ales and ciders are at one great price of £2.50 a pint. For more information about this year’s beer festival find it on Facebook or Twitter, or, if you’re interested in sponsoring a cask call Duncan on 07804 796902.